Pet lovers, your precious fur babies are family. 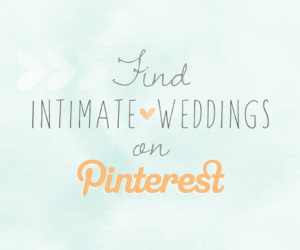 Why wouldn’t you include them on your wedding day? While it can be wonderful to have your pets physically present at your wedding, it’s not always feasible. Feisty cats and barking dogs certainly won’t make your wedding day any less hectic, and your pet may feel stress surrounded by crowds of people. 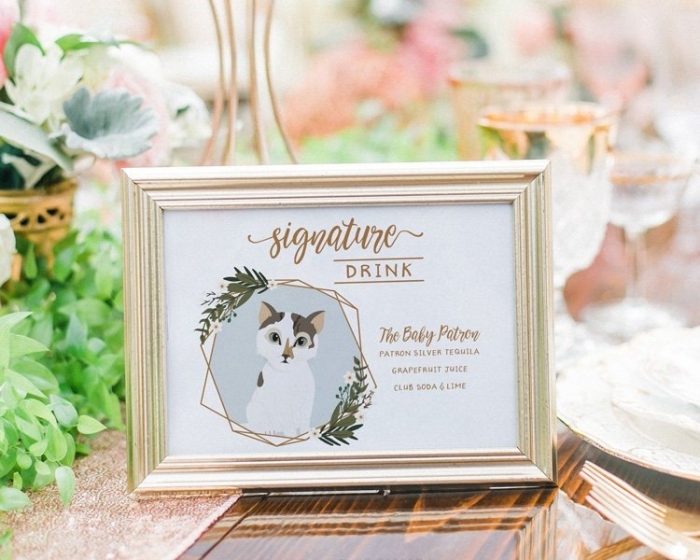 Fortunately there are myriad ways to include your lil’ floof(s) in your nuptials; save-the-dates photo shoots, pawsitively adorable decor and, one of our faves – signature cocktails. Signature pet cocktails are trending right now, and we’re so here for it. 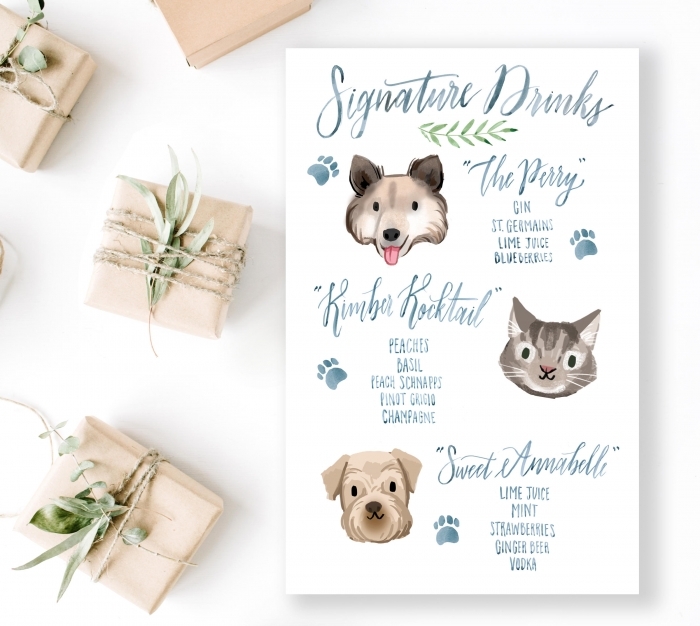 Your guests will be charmed, and you’ll have an adorable doodle of your furry friend to keep forever. We can’t think of a cuter way to honor your pets. This sign from MissDesignBerryInc is a major hit with pet lovers. 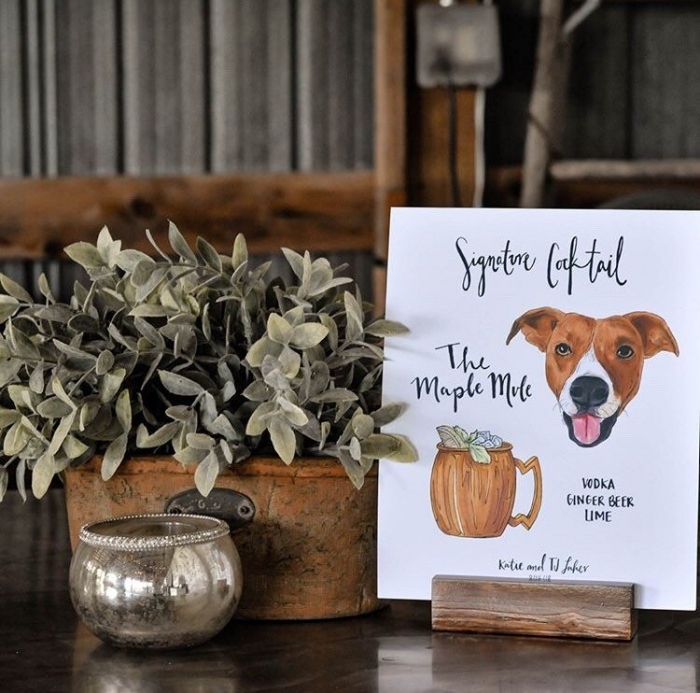 Yes, elegant dog illustrations do exist and we couldn’t be more obsessed! 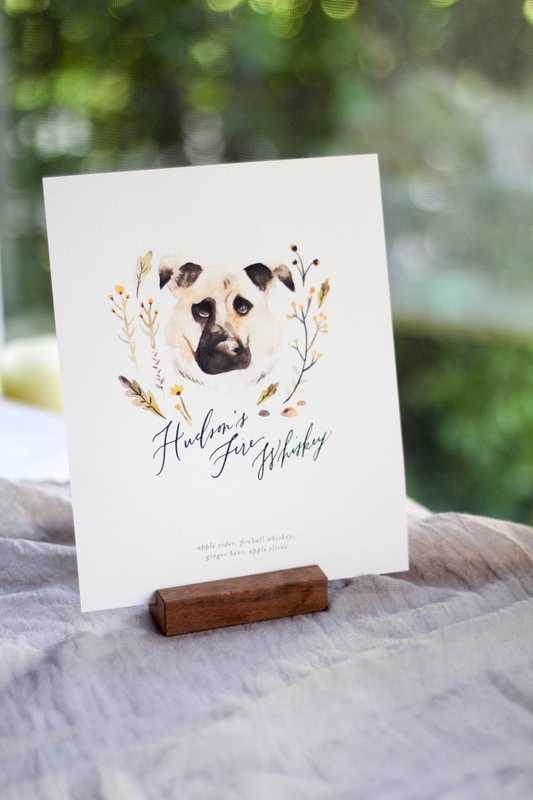 Your pooch will be impressed with this lovely watercolor sign from lichenink. 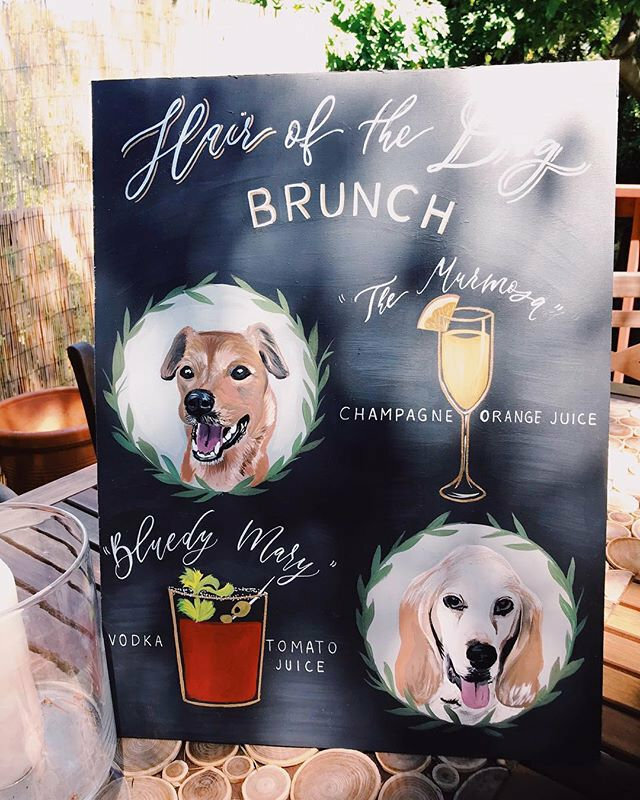 We’re smitten with this custom pet illustration cocktail sign from JesMarried. Even the most, well, catty cat will be impressed with this purrfect sign from deaandbean. 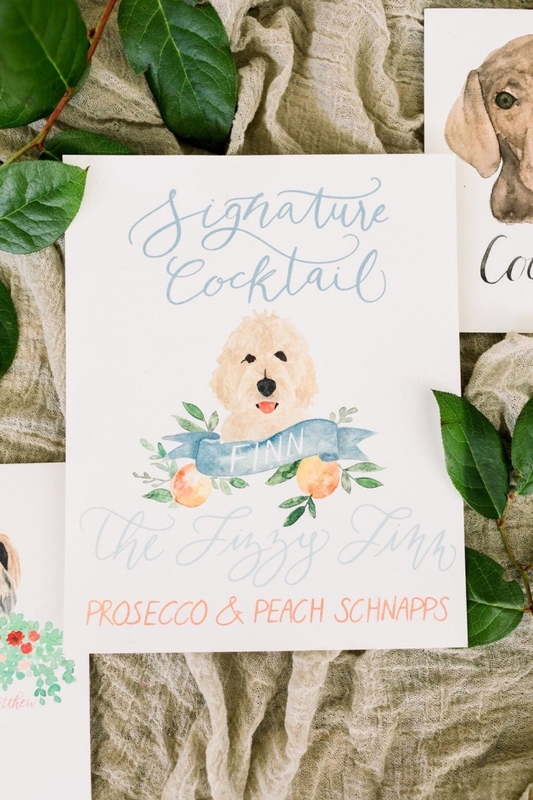 Honor your pooch in the prettiest way possible with this hand-painted watercolor sign from LineAveCalligraphy. 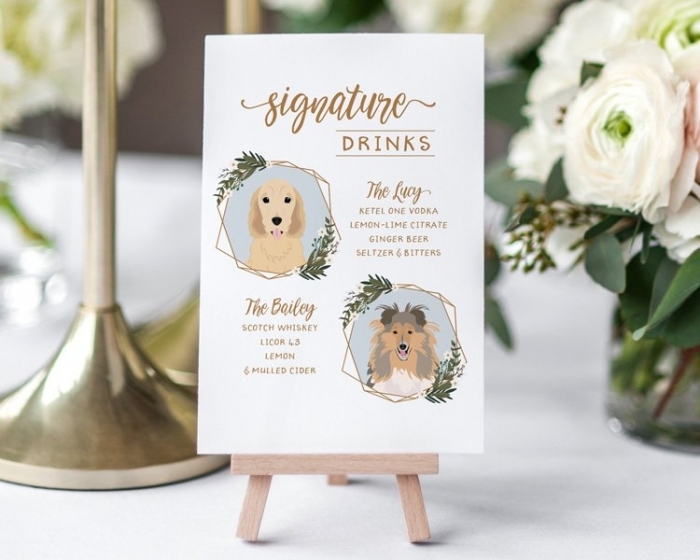 This pawfect sign from deaandbean will be one of your fave wedding keepsakes. 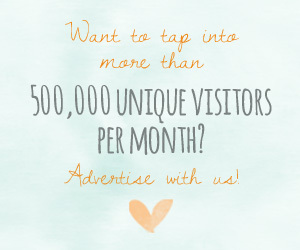 Looking for a budget-friendly option? 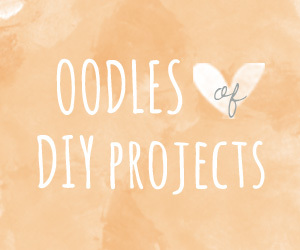 This whimsical illustrated sign from kathrynselbert could not be any cuter! 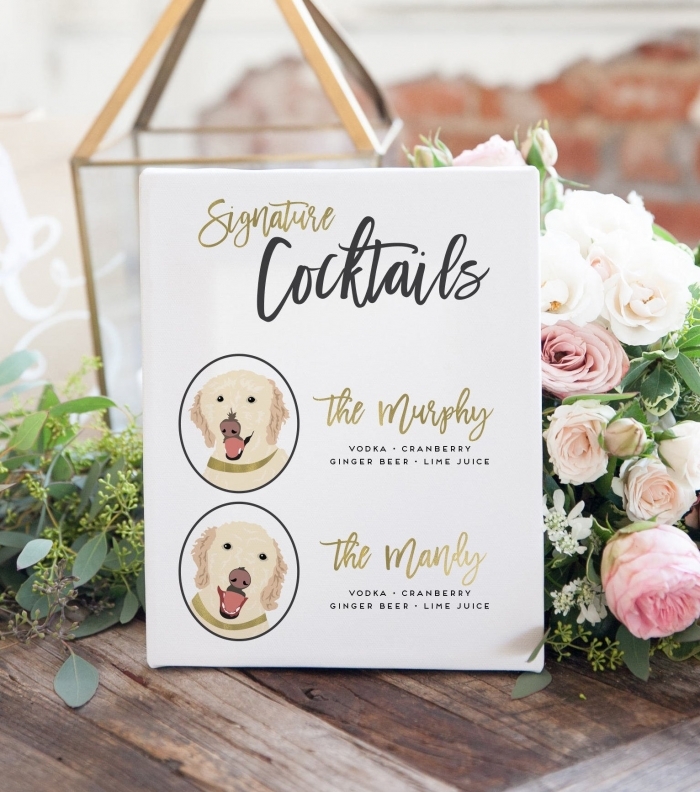 Up the ante on your wedding signage with this epic hand-painted signature pet cocktail sign from GoldDustDesignShop.